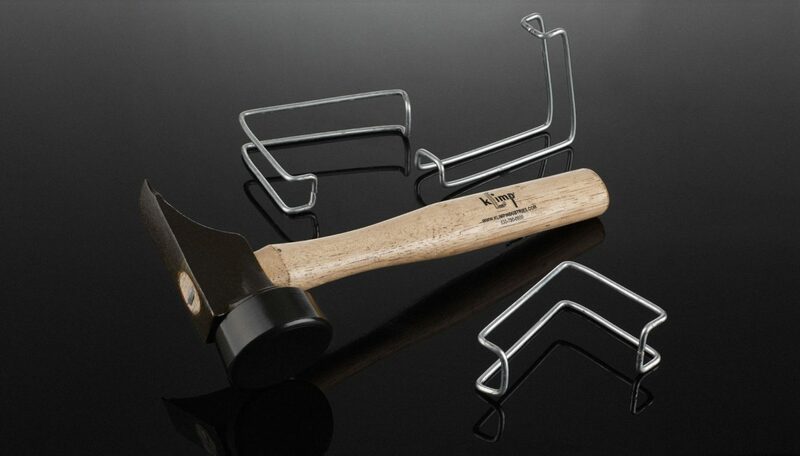 The Klimp hammer features a wide replaceable rubber head that makes application fast and eliminates spring tension damage, so Klimps can be used over and over again, saving you even more. Add one to your order today! Contact Us now to add one to your order today! The Klimp Hammer speeds up assembly and removal of Klimps, saving time and money.